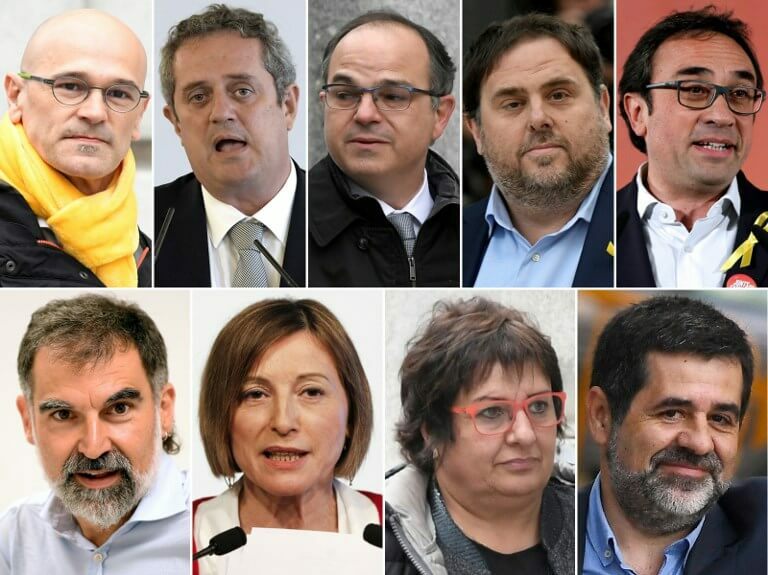 The jailed Catalan pro-independence leaders facing trial in the coming weeks are expected to be transferred from Catalan to Madrid prisons this Friday 1 February. As the court sessions will be held in Madrid, the Supreme Court has ordered for them to be closer to the capital ahead of the event. The intention is for the jailed leaders to be available to be tried in Madrid from 2 February. The judges said earlier this week that they expected the trial to start ‘around’ February 5 – yet less than a week before this date the court has not shared when exactly the trial will start and how long it will last. The seven male jailed officials will be moved to Soto del Real prison (where two of them, Jordi Cuixart and Jordi Sànchez, had already spent some months), while the two female leaders will be sent to Alcalá-Meco centre, where they were also incarcerated for months before being moved to Catalan jails. The public prosecutor has requested a joint total 177 years prison sentence, including 25 years for Oriol Junqueras, the highest individual proposed sentence.